Raiding Obesity: A Gamer's Journey of Weight Loss: Everyone Get Hype! 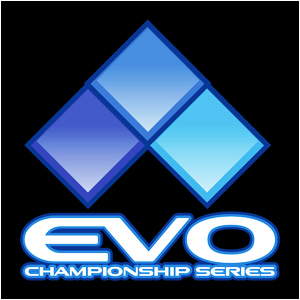 EVO, for those who don’t know, is kind of like the World Series for fighting games like Marvel vs. Capcom 3, Super Street Fighter 4, Injustice, Mortal Kombat, King of Fighters III, and many more! While I do not play these games with any kind of seriousness, my fiancé and many of our friends do, and it has become a big event for us. This was a couple years ago, I believe, and it's even bigger now! For the past 4 years we had all taken time off, saved our money and booked a flight and hotel and actually attended EVO, which is held in Las Vegas. Sadly this year we did not get to make the trip, but we are still enjoying the tournament by streaming it through the TV, eating tasty food, and cheering for the players we love. There were four guys I needed to make nachos for. I started with 4 of those aluminum foil pie plates because I really didn’t feel like washing a bunch of dishes. I spread about ¼ cup of queso cheese sauce in the bottom of each pan, and then sprinkled about 2 tablespoons of fresh salsa over that. Then I put about 2 cups of tostitos scoops chips in each plates, and spooned about another ¼ cup of queso cheese sauce over the chips. I spread about ¼ cup of fresh salsa over the chips, followed by a handful of pre-cooked grilled chicken pieces. I added olives and pickled jalapenos to the ones who wanted them, then sprinkled about a ½ cup of Mexican blend shredded cheese over top, and put it in a 350 oven for about 8 minutes, until the shredded cheese was melted. The guys enjoyed it! They really weren’t even interested in the pizza, which is good! Even though the nachos were heavy in calories (I’m guessing about 500-600 calories), the pizza was even worse, it was dripping with grease and just looked like a heart attack. A part of me is flabbergasted that I ever ate that stuff! Since I was doing the cooking, I wanted to make something for myself that would fall into my calories for the day. Here is what I made for myself, I call it Zesty Taco! 3. Sprinkle the salsa over the tortilla, keeping it in the circle of cheese, and the lay the chicken strips down the center of the tortilla. 5. Roll up the edges to create a wrap, enjoy! After calculating, this recipe is about 279 calories! The salsa I used was very fresh, and had a bit more kick than what I generally eat (I’d say it was on the spicier side of medium salsa), but it was really good to have that punch of flavor! This kept me full for quite some time, and the heat had me drinking a lot more water. I did not exercise (unless you count slow walking through the grocery store....which I don't), so there are no calories to subtract. Calories was a tad lower than I'd like, but the food had a lot of kick and I found my stomach to be a bit tender towards the evening. I don't normally eat things that have that much spice, so it wasn't completely unexpected. Today's Addition is Raise Your Glass by Pink!